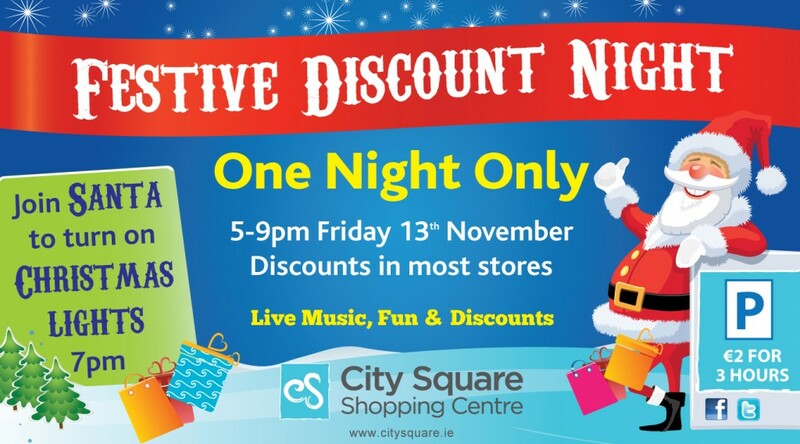 Adults and children alike will want to be in City Square on Friday night November 13th as the shopping centre hosts an exciting pre-Christmas Discount Shopping Event from 5pm to 9pm. A shoppers paradise awaits as the Debenhams mid-season sale will be in full swing and most the stores in the centre will be offering exclusive discounts for one night only. This is a once off opportunity to bag a bargain before the Christmas shopping rush begins.